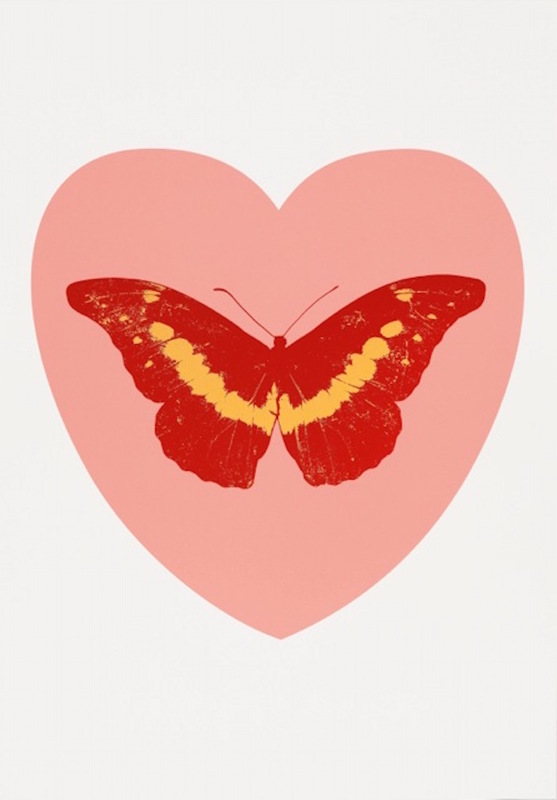 As Hirst says:’Love is a beautiful thing and I see it as a small antidote to all the horror in the world’. ‘LOVE Gold’ is a portfolio of love heart prints each foil blocked with a single butterfly. Eight of the hearts are silkscreened and six are in gold leaf. Damien Hirst’s ‘LOVE Gold’ is the first of two portfolios, the second, titled ‘LOVE Silver’, released in June 2015. It will include eight silkscreen prints in colours different to ‘LOVE Gold’ and six prints in silver leaf, each foil blocked with a single butterfly.